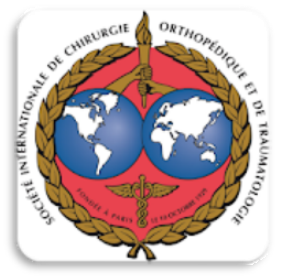 Thank you for your participation in the 39th SICOT Orthopaedic World Congress in Montreal! All photos can be viewed here. Enjoy! We look forward to seeing you next year in Muscat! On behalf of the SICOT Congress Organising Committee, we would like to invite you to the 39th SICOT Orthopaedic World Congress from 10 to 13 October 2018. This will be the second SICOT congress held in Canada and once again it is being held in the beautiful city of Montréal. Montréal is one of the oldest cities in North America and in 2017 is celebrating its 375th anniversary. It offers a charming combination of old world architecture and modern technology set in the context of a dynamic French-English duality that is the envy of cities around the world. Montréal is recognised as a gastronomic destination with more restaurants per square kilometre than any other city in North America and a significant number of Michelin listed establishments; in addition it has a large number of museums and galleries and a very vibrant visual art scene. The congress will be held at the Montréal Convention Centre, centrally located in downtown Montréal. Every congress hotel is within easy walking distance of the convention centre and the hotels offer every price point for accommodation. For those wishing to venture further afield Montréal has a modern public transit system and easy access by air, road and rail with the major tourist destinations of eastern North America. We are expecting 3,000 participants from around the world! The congress programme will focus on knowledge transfer and will offer a full scientific programme dealing with the latest advances in orthopaedic surgery in both the high tech and low tech environment. Abundant free paper sessions, symposia, instructional course lectures and plenary presentations promise something for everyone in terms of orthopaedic interest and subspecialisation. The Executive Committee of SICOT, its National Delegates and the Local Organising Committee invite you to come to Montréal for a memorable experience in every sense and look forward to seeing you in 2018. Join us in Montréal, 10-13 October 2018. Gabriella Salvati - Linsa Inc.
Lina Salvati - Linsa Inc.